A-CLASS CARPET CLEANING, INC. offers various carpet maintenance options for your facility or offices. 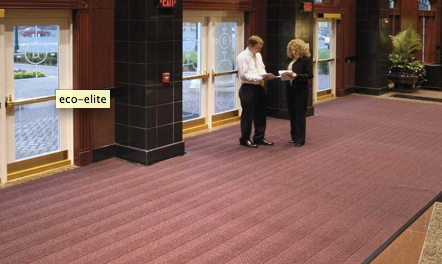 With a planned Carpet Maintenance Program you can extend the life of your carpets by years and improve the image of your facility or offices tremendously. This means regular steam-cleaning, spot-removal and overall maintenance of your carpets and upholstery (if needed) on a weekly, monthly, or bi-monthly frequency. We’ll meet, listen to your needs, and craft a personalized Maintenance Program based on your comments, high traffic areas, all year and seasonal walk-off matting, elevator matting, as well as thorough restorative cleanings and trouble areas. Each facility is different and with your input and cooperation, we’ll gladly come up with something that works and is easily adaptable to your changing needs. And remember, free emergency spot-cleaning comes with every Maintenance Program. You’ll never have to worry about embarrassing stains again. Contact us now at (416) 230-0501 for an onsite inspection of your facility and we’ll get to work today.